There is something awe-inspiring about seeing an 80-tonne whale lift nearly two-thirds of its body vertically out of the water and then come crashing down in an explosion of spray. We watched them rolling, blowing and breaching from the safety of the Hermanus seafront. 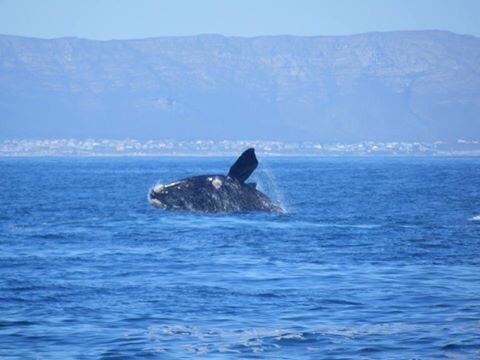 There really isn’t a better place to go whale watching that off the coast of Hermanus. With a spectacle view of the bay and the surrounding hills over looking the quiet little fishing town. Every August and October the town comes to life again with tourists flocking in from all over to see the migration of the southern right whale. The southern right whale migrate down the Western Cape coast and swim up close to the shore line in Hermanus. As they swim past rather nonchalantly and they can put on a terrific show. Apart from their dramatic breaching, they also exhibit behaviour called “sailing” (sticking their tails up out of the water), “spy-hopping” (putting their heads up to look around) and “lob-tailing” (slapping the water with their tails). A great advantage point watching this display is from the shoreline. Head to Biatang’s cave where you can get great views of the whales whilst drinking a few glasses of wine and enjoying some very good food. A cliff-top walk along the coast allows different viewpoints of the whales or if not spend some money and get a boast trip out to see the whales up close. From the boat you may also see dolphins, sharks and other marine animals. 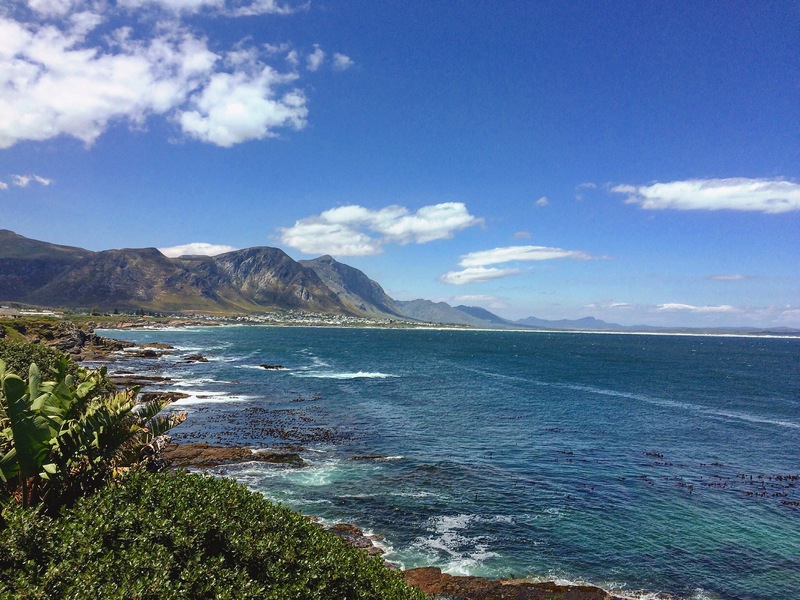 Only 80 miles from Cape Town and the mecca of whale watching in Africa, Hermanus is the ideal place to visit during the South African spring time (August/October). Wow what an incredible experience! Pictures look beautiful. 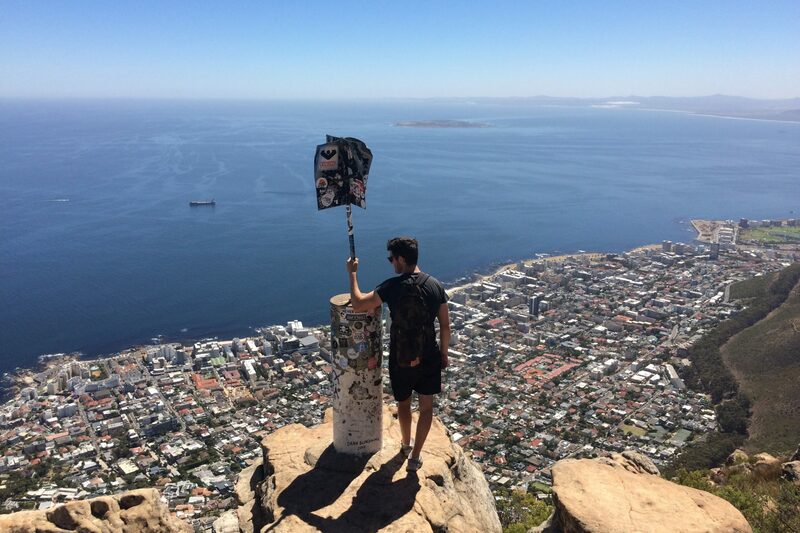 I hope to make it to South Africa one day! You have to go one day. It’s such a nice place and there’s so much to there. It will be worth every penny!! Reblogged this on South Africa: "the Beloved Country". What a gorgeous picture! Amazing. This is useful. I’m planning to go there so will definitely do whale watching ! Well worth. What time of the year are you going? November. I heard weather should be good then. I’m planning on traveling to Cape Town and the Garden Route 🙂 which month you were there? The weather will be better in November but the whales pass through on migration in October. I lived there from October to April two years in a row. Whoa! How cool is that! It sounds like you chose the perfect area. I’ve only been whale watching once, but it was an incredible experience. I was so lucky to get great views of the whales. Where did you go whale watching? I’ve gone whale watching off the west coast of Vancouver Island in Canada. It’s so thrilling to see those whales!